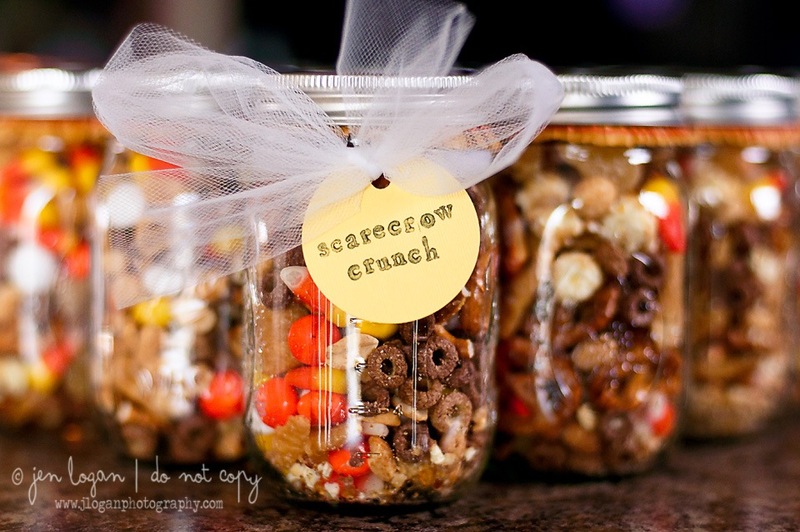 I saw a link to a fun recipe on Pinterest for a Fall trail mix called Scarecrow Crunch. I tweaked it a bit to my liking and Jocelyn and I made up a big batch today to pass out to friends and teachers for the start of Fall I thought the name was cute, so I kept it! We put it in mason jars, put the lid on and then put the cupcake liners (found at Wal-mart) upside down over the lid before screwing on the ring. 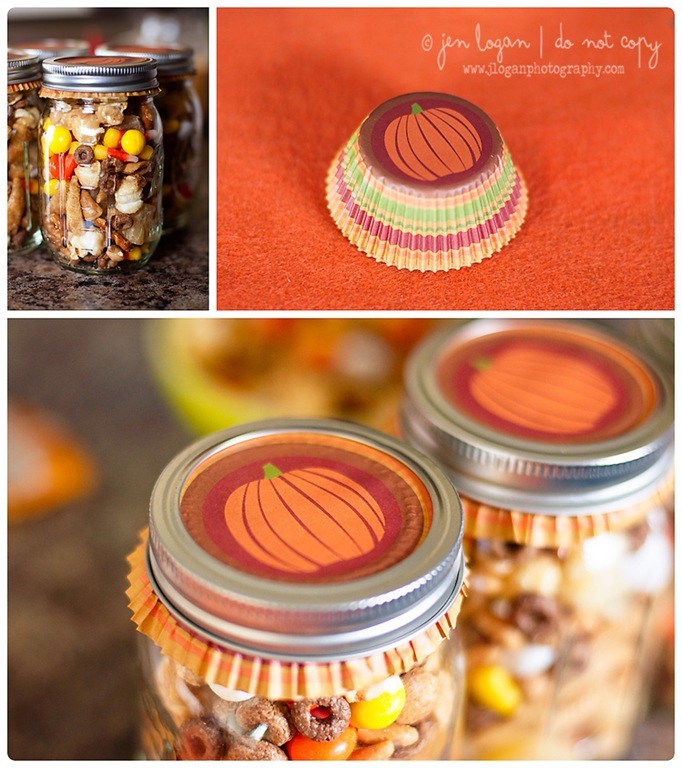 I then hand-stamped Scarecrow Crunch to a 1” circle and tied it around the jars with some tulle. 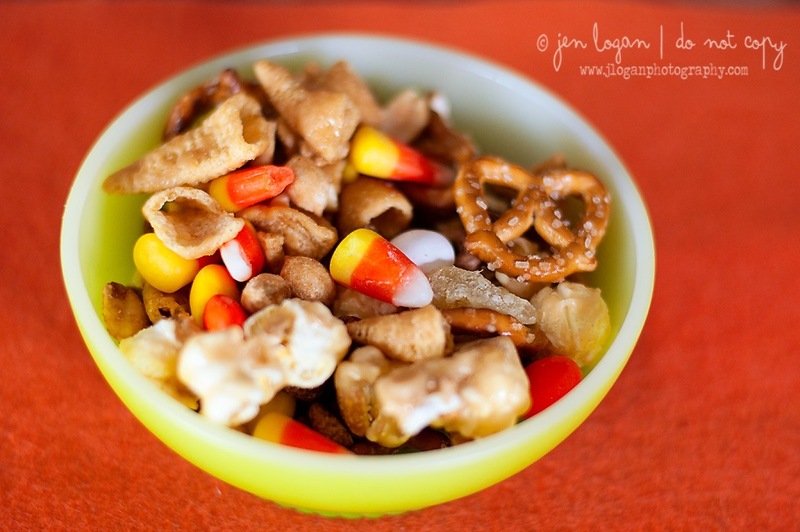 A fun, easy thing to make with your kids AND you can bless someone else’s day!